ABOUT US – MlinProdukt D.O.O. Enterprise for domestic and foreign trade “Mlin Produkt” Ltd, with head office in Belgrade, Zvezdara municipality in the Republic of Serbia. The legal representative of the company is Dejan Bošković, the second generation of the family developing the business since March 10th, 1990, when the business started. 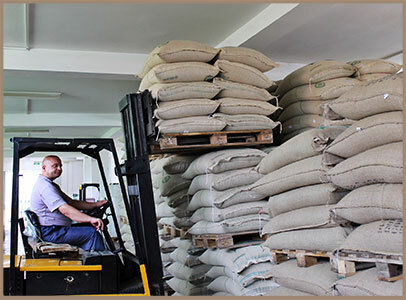 Trade and processing of raw coffee is the main activity of the enterprise and as the dominant activity in APR (*Serbian Business Registers Agency) we are registered under the objects code 4637: wholesale trade of coffee, teas, cocoas and spices. Raw coffee trade, selection and control of the coffee we import, transport organization from countries of origin, as well as transport from European harbors to Serbia, customs clearance, quality control upon arrival, duly keeping records of documents are our everyday activities which, apart from the above, also include routine daily managing of our retail sale chain “Dućan moj”, as well as processing of raw coffee to meet the needs of our retail sales. We want to remain an autonomous Serbian family company, by preserving our own independence as much as possible. We aim to base development and all investments only on our own sources of financing. Enterprise “Mlin Product” Ltd. is a family company founded on October 16th, 1990 under the name “DB Company” Ltd. As precursor of this enterprise, several months before that, an Independent Craft Shop “SVEŽA KAFA” (*translation: fresh coffee) was founded which soon continued to do its business within “DB Company” Ltd. enterprise. As a result of great enthusiasm and momentum in the late ’80s, when the change of social-economic system in the then Yugoslavia made private ownership possible, the Bošković family started the business of raw coffee processing in a small craft shop, not bigger than 10m2, and practically with no financial means whatsoever. Just two or three years later, “DB Company” Ltd. Enterprise started to import and distribute raw coffee to small coffee processing craft shops, which at that time were emerging every day on the entire territory of Serbia. On June 28th, 1995 „DB Company“ changed its name to “Mlin Produkt” Ltd and continued to work within its main activity of importing and processing raw coffee, development of retail sale, but also importing different consumer goods. 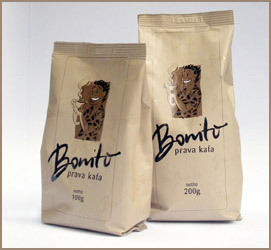 Until the end of year 2000 „Mlin Produkt“ Ltd enterprise dealt with raw coffee processing for its own retail sale when the decision of designing the „Bonito“ brand was made, intended for the entire Serbian market. Through enormous enthusiasm, great effort and round the clock work, Mlin Produkt, quickly grew from a small enterprise with several dozens of employees into a mid-size enterprise with over 200 employees and associates. The total turnover of coffee grew from several hundred tons to 4500 tons of annual turnover. The „Bonito“ brand grew to become the third brand on the Serbian coffee market, and quality, style and marketing that accompanied him were completely unique and recognizable on the market. Thanks to the originality, quality and enormous work that was invested, the „BONITO“ brand wrote at least several lines in the history of development of the Serbian market after the total collapse of socialism in this region. 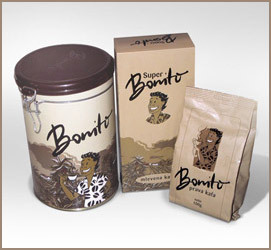 The decision was made in 2007 to sell the „BONITO“ brand, and „MLIN PRODUKT“ enterprise continued with further import and distribution of coffee, as well as with the development of retail sale network called “DUĆAN”. The raw coffee import, apart from the basic types of coffee intended for making „home-made coffee“, expanded in the direction of importing special coffees intended for production of espresso and filter coffee. Very quickly we took a leading position in that segment and one can always find on our stock a wide variety of special highest quality coffee. Since its foundation „Mlin Produkt“ Ltd. Enterprise deals with raw coffee import and distribution. In our wide range of offer of coffees of different origin, you can find coffees from Central and South Amerika, Africa, Vietnam, India and Indonesia. We are trying to satisfy demands of all buyers, from those who are most demanding that look for coffee of particular origin, from the precisely specified plantation, and even from „micro lots“, to buyers that buy coffee of lower quality and price category which are mostly used in mixtures for the preparation of the so called „home-made coffee“ (Turkish coffee). After the order, we deliver goods to our buyers within 48 hours to the specified address on the entire territory of the Republic of Serbia. 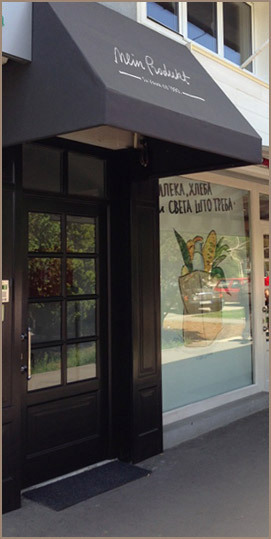 Small craft shop for coffee processing “Sveža Kafa” (*fresh coffee) that was founded back in 1990, grew into a modern coffee processing plant that meets all the HACCP standards and has the latest equipment for roasting, transport and refining of coffee. Long-time experiences and knowledge of how to get the raw material, preserve raw coffee, roast, pack, grind and safeguard roasted coffee as a final product, guarantee the highest quality of the product that exits our roaster. We create a product that is the result of very careful craftwork where production of smaller quantities provides total dedication of the entire production process. 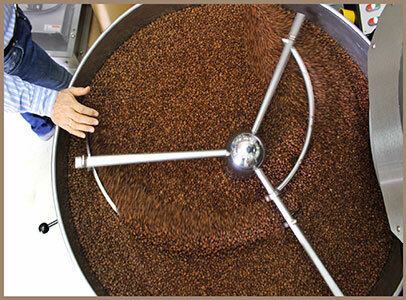 Special roasting technique which gives the final product recognizable taste is possible only with constant presence and dedication of experienced roaster and only on small and modern roasting machines. Production on a daily level is sized and planned in such a way that prioritizes quality of processing and freshness of the product. Since our company was founded, long ago in 1990., retail sale is one of the basic factors of financial stability. 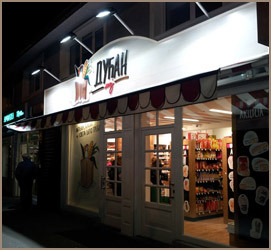 The chain of retail facilities called „DUĆAN KAFA“ are retail facilities where one can buy coffee roasted in our roasting shop „DUĆAN KAFA“, as well as the accompanying program of confectionery products and juices. 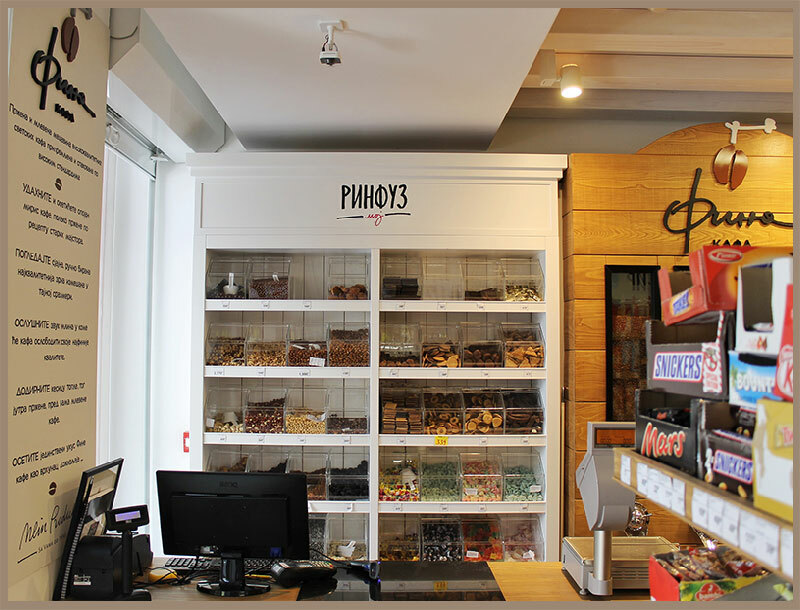 Apart from such retail facilities with small space of approximately 30 square meters and with very narrow range of other products, in 2007 we move to develop minimarkets, neighborly shops of around 100 square meters, equipped with the most modern shelves, cooling showcases as well as all other modern accompanying equipment. Wide range of food products is also complemented with fresh coffee from our roaster, which was packed as „DUĆAN KAFA“ until the beginning of 2013, when it gets a new look and „FINA KAFA“ name. The desire for further development and need to offer something new to the consumers gave birth to the „DUĆAN MOJ“ retail sale concept which offers more humane and less sterile form of shopping and in which closer relationship between buyer and seller is created. Its unusual interior and irresistible charm that together create a sense of warmth and charm of old neighborly shops, refine each neighborhood where they are located and offer consumers the freedom to identify themselves with the neighborhood in which they live and with the shop itself. The social element created through closeness between the staff and each customer erases the sense of alienation and sterility which you have in the hypermarkets. Also here, apart from the wide range of food products which you may find for very affordable prices, special emphasis is made on the sale of roasted coffee which we bring every day, fresh, directly from our roasting plant, and which is ground and packed for you as our brand „Fina kafa“.